Here is a transformation video of a guy who went from skinny kid to buff dude. He gained weight and bulked up in a pretty short time (although he did juice as well, and by juice I don’t mean orange juice). 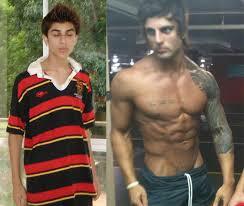 Zyzz Transformation (before and after): Find out how you too can become like Zyzz.